Surfing is sixteen-year-old Iris's world, and when the ultra-talented Zeke walks into her life, it soon becomes her passion. Over one amazing summer, as she is drawn into his sphere, she experiences love, new friendships, but also loss, with an intensity she never dreamed of. I'm sad to say that this book and I just lacked book chemistry. I'm sad because as I was reading, I kept thinking, "I should be really enjoying this! Why do I just feel kind of meh about it?" I still can't really understand why, but I think sometimes it's really just down to the simple thing of book chemistry. I entered the giveaway for this book because I like trying new things. I thought, "Oh look, surfing! I know nothing about that! I'm sure this will be interesting." And I think I've now concluded that surfing just isn't my thing. The main characters in this book all love surfing, and everything in this book pretty much revolves around surfing, and while it was nice to learn about something that I literally knew nothing about before, I found that in the end I just couldn't get myself to care about this supposedly thrilling sport that Iris and Zeke are both so passionate about. And that meant I found it hard to connect to them as characters too, and I couldn't summon much enthusiasm for the storyline either, in which we follow Iris as she tries to become a pro-surfer. And Zeke! I know I'm meant to be swooning over Zeke. He's a pro-surfer, he's super fit, he's practically naked in the latest issue of Cosmo Girl, and all the girls swoon over him. But he's just not my type! I think what Blue made me realise is that I should really just stick to YA novels about awkward, nerdy guys. Due to the fact that Zeke did not have the swoony factor for me, I just couldn't get into the romance between Zeke and Iris. But really, there are so many likeable things about this book! First of all, it's funny. I laughed out loud quite a few times. I love how strong the voices in contemporary UKYA tend to be, and this was no exception. I loved Iris' voice! I loved the strong sense of place the book had, anchored in Newquay and its beautiful beaches. I liked Iris. I know I said I just don't get surfing, and I never will, but I still managed to like Iris as a character. I liked how the book explored the sexism in surf culture and the surf industry through Iris' eyes; this made me really happy, and I honestly think it's great that we got a book about a girl who wants to become a pro-surfer. Oh, and I adored the strong friendship Iris shared with her best friend, Kelly! They were so supportive of each other and comfortable with each other, and I just loved Kelly's personality. Iris is shown in this novel to be still trying to figure out how she feels about her ex, Daniel, and at first it seems like she's not completely over him yet. Daniel was given a sympathetic backstory, but I just wasn't very sure about his portrayal overall in this book. It just felt really weird; he kept fading in and out of the story abruptly and I never felt like his storyline was fully resolved. I felt like I really cared about him despite some of his terrible actions in this book; in fact I think I cared about him more than I did any of the other characters, which I really don't think is what the author intended, but it's what happened nevertheless. I don't think his actions are forgivable, but it seems to me implied that he's suffering from some kind of mental illness, and I really feel like he needs more help than he got in this book. I think that was definitely my least favourite aspect of this novel. Just how unfinished everything that happened with Daniel seems to be. On the other hand, there was another side plot that I really enjoyed, with one of Zeke's brothers, who is gay but closeted. I really appreciated the inclusion of such a character and I felt like that side plot was realistically and sympathetically explored. Then there's Saskia, a posh girl who seems really close to Zeke, and Iris immediately doesn't like her. Her first impressions do change though, eventually. I really liked what the book did with Saskia, but I really wish there was even more of that! I think that was one of the best parts of the book, how the way Iris felt about Saskia changed over time. I honestly do think they would make great friends, even if Iris doesn't seem to think so now. There will be a sequel to this book, but I'm not entirely sure whether I will check it out. One surfing book, in the end, is probably quite enough for me. And I just don't care enough about Zeke. 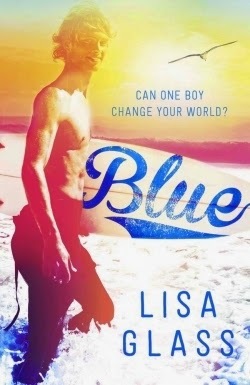 But hey, if surfer boys sound like your kinda thing, you should definitely check this book out! It's well-written and the characters are refreshingly different from a lot of other YA contemporary novels. I didn't love it, but you just might. Awesome review, Cynthia! I recently read Raw Blue by Kirsty Eagar (review coming much later in the year), and although I enjoyed it as a whole, I didn't get the surfing. It doesn't appeal to me, and there were such in depth descriptions of catching waves, and the various actions/skills involved, and because I have no idea, I just couldn't see it. Surfing just doesn't do it for me, and that was a huge aspect of the book. I loved it depsite that, but I don't think I'll be checking Blue out. Like you said, one surfing book is enough. Thanks for the review! I love books about surfing, even though I don't surf myself, though I did grow up at the beach. I've been keen on this one since I heard about it and I think I'll really enjoy it. I'm sorry the characters weren't your sort, I hope you connect better with your next read! Oooh, you should definitely check it out then! (: I hope you like it! Thanks for stopping by and following me. It's a shame you didn't enjoy this one as much as you hoped to, I don't think I've read any surfing novels but I really like the look of this one so I'll probably still give it a try - especially considering all the positive things you had to say about the rest of it. Do give it a try! :D You never know, surfing might just be your thing. :D I hope you like it more than I did.